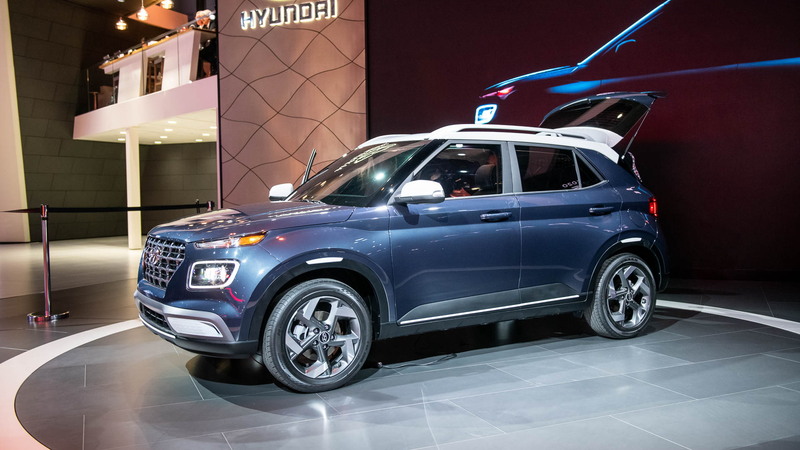 Get ready for a Hyundai crossover SUV even more affordable than the Kona which starts at $20,000. 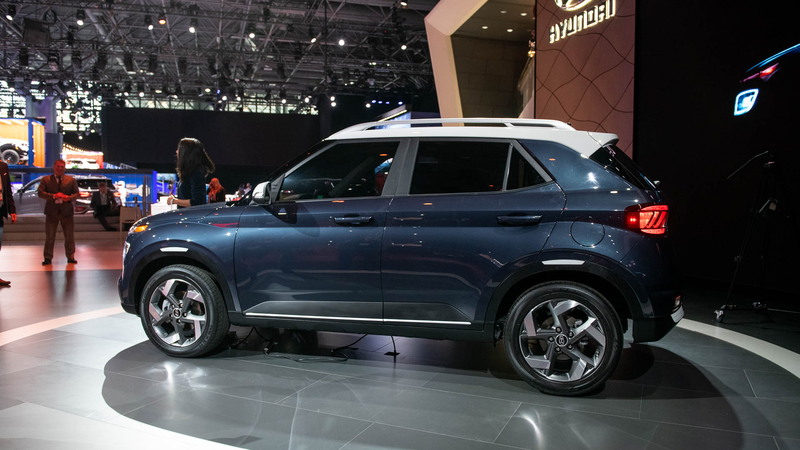 The Korean brand on Wednesday unveiled a new entry-level SUV dubbed the Venue at the 2019 New York International Auto Show and confirmed the showroom appearance will follow in the fourth quarter of 2019. 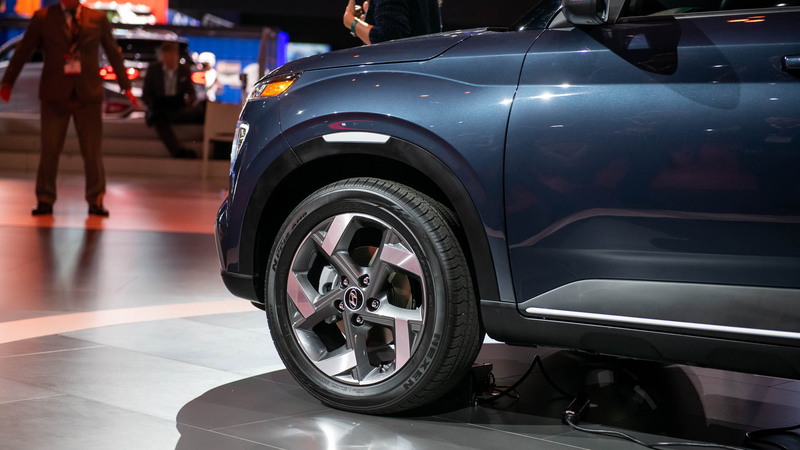 The Venue is a subcompact SUV that measures 158.9 inches in length, or about 5 inches less than the Kona, and it has four doors and seating for five. With the rear seats folded flat, you're looking at roughly 32 cubic-feet of storage. 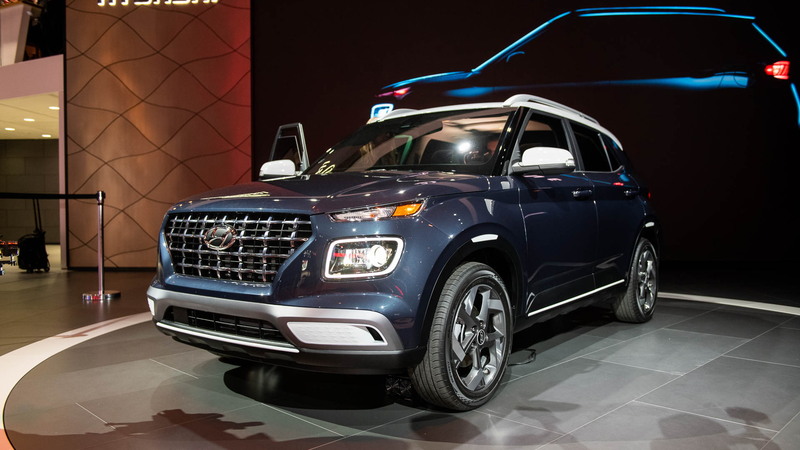 Although small, the Venue borrows styling from Hyundai's larger Santa Fe and Palisade SUVs (the latter is also a new addition to Hyundai's SUV lineup for 2020). 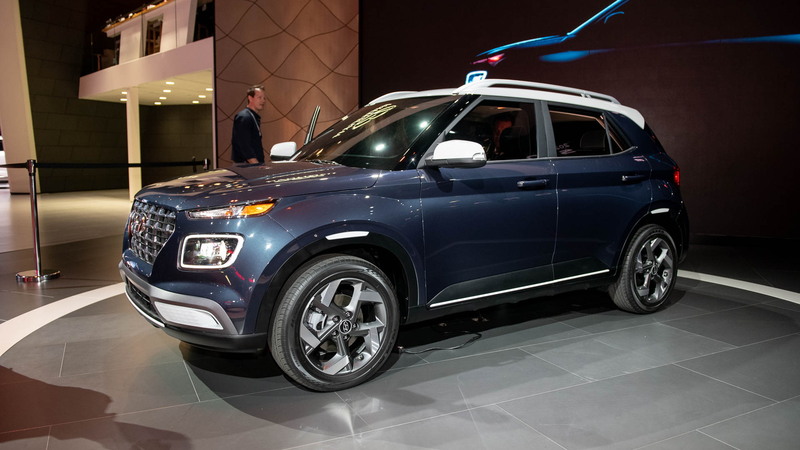 Up front is Hyundai's cascade grille design and the split headlight theme used on the Korean brand's SUVs. There's also a floating roof design and square-shaped taillights. Just one powertrain has been announced, in this case a 1.6-liter inline-4. Hyundai hasn't mentioned power but said the Venue should return up to 33 mpg combined. Drive is to the front wheels and buyers will be able to choose between a 6-speed manual or continuously variable transmission. Hyundai has also loaded the Venue with a surprising level of technology despite it being an entry-level vehicle. Included, either standard or available, will be an 8.0-inch infotainment screen, Android Auto and Apple CarPlay smartphone integration, a driving modes selector with Snow mode, a rearview camera, and heated front seats and side mirrors. There will also be electronic driver aids including collision warning, lane keep assist, and blind spot and rear cross traffic warning. Joining the Venue on Hyundai's stand at the New York auto show is the redesigned 2020 Sonata. For more coverage from the Big Apple, head to our dedicated hub.